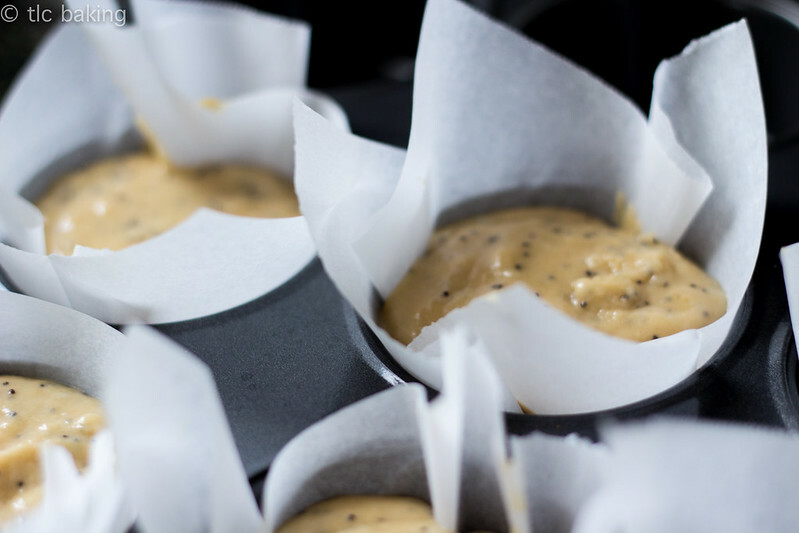 earl grey & poppy seed muffins – tlc. | tender love and cupcakes. 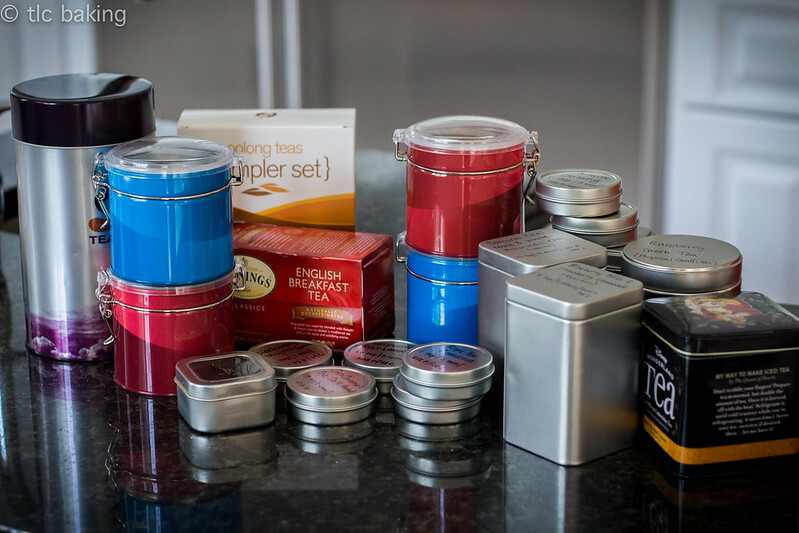 I’m a tea girl, through and through. Coffee is delicious, but its real time and place are at 11 pm in the library when I still have 7 pages of a paper left to write before class the next morning. Of course, if we’re sitting down with a steaming mug for a moment of peace, we might as well make an event out of it, snacks and all. 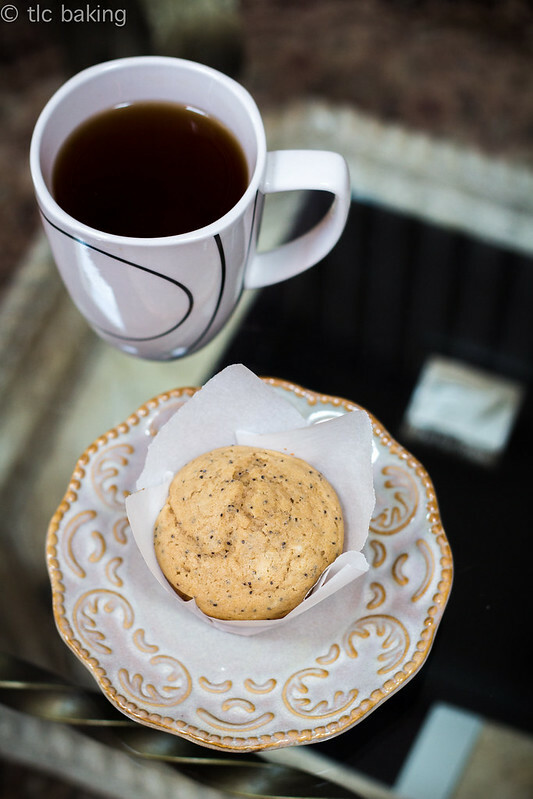 And what better to pair with a cuppa than a piping hot Earl Grey & poppy seed muffin? This is one of those recipes I just keep coming back to, again and again, whenever the craving strikes me. They’re quick, easy to make in small batches, and perfect for breakfast or a snack, even on the go. 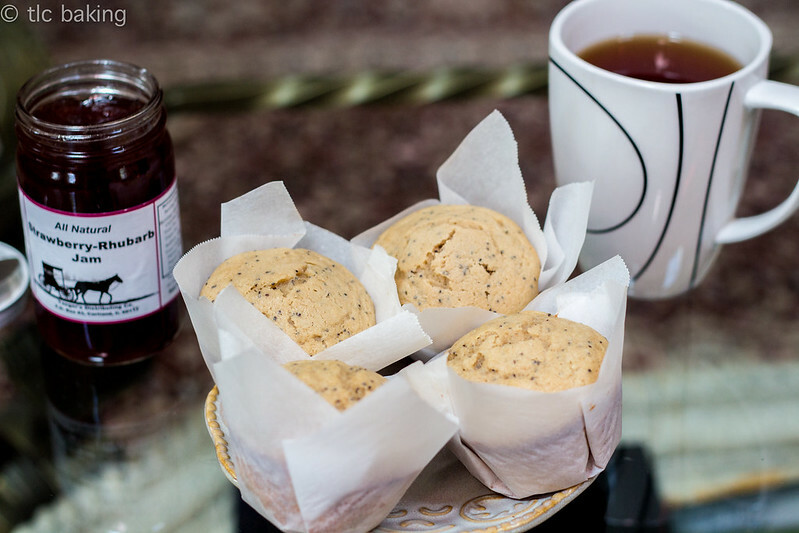 Earl Grey is a pretty subtle flavor to begin with, so when I first made these muffins, I was worried that the tea flavor wouldn’t come out. As it turns out, I had absolutely no reason for concern. 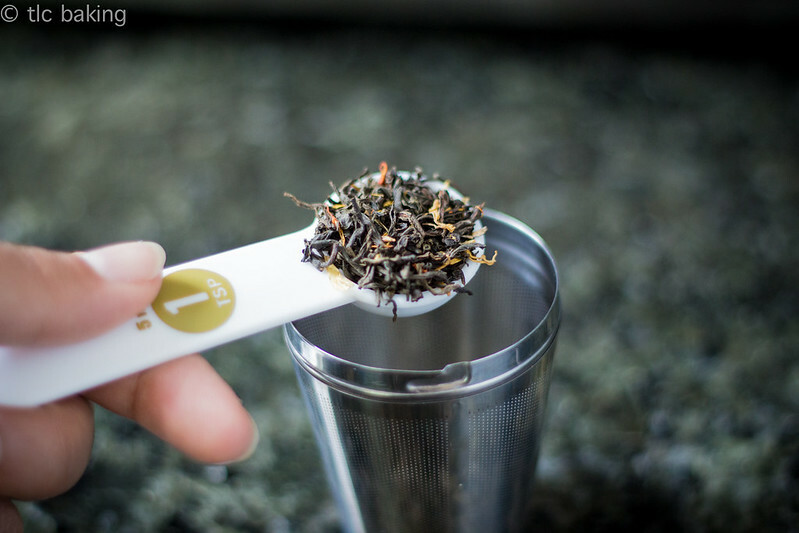 With no vanilla or other strong flavors to fight it, the milk-steeped Earl Grey peppered with poppy seeds is apparent in every bite. Steph over at raspberri cupcakes, if you’re reading this, you’re a genius with this flavoring. And while we’re at it, I’d like to direct all of my readers to her blog, which is home to not only some fantastic recipes, but also some of the most aesthetically pleasing food photography ever. 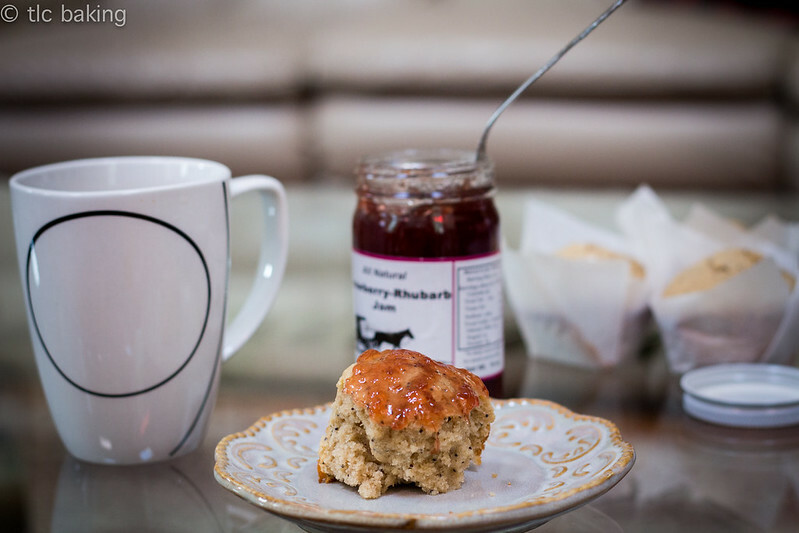 Everything is dainty and perfect and if you find yourself spending even a little bit of your life perusing food photos on Pinterest, you will enjoy her blog. Now back to the muffins. Add the tea, melted butter, and eggs to the dry ingredients. Mix away! I didn’t have to pull out my blender or even a second bowl. Everyone’s happy if we can avoid cluttering the sink. While the tray was in the oven, I brewed my tea. 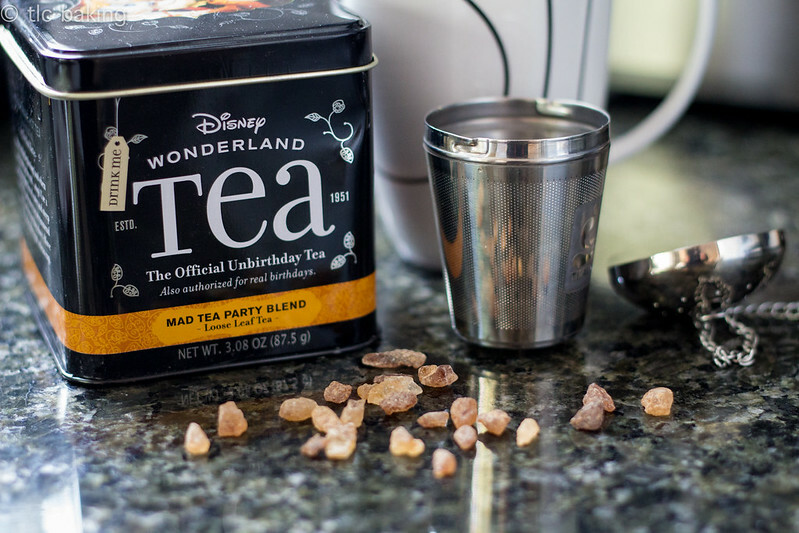 Since the original recipe suggests apricot jam for the muffins, I like to pair them with the Alice in Wonderland Mad Tea Party Blend, a ginger-peach-apricot black tea that I picked up in Disneyworld last summer. 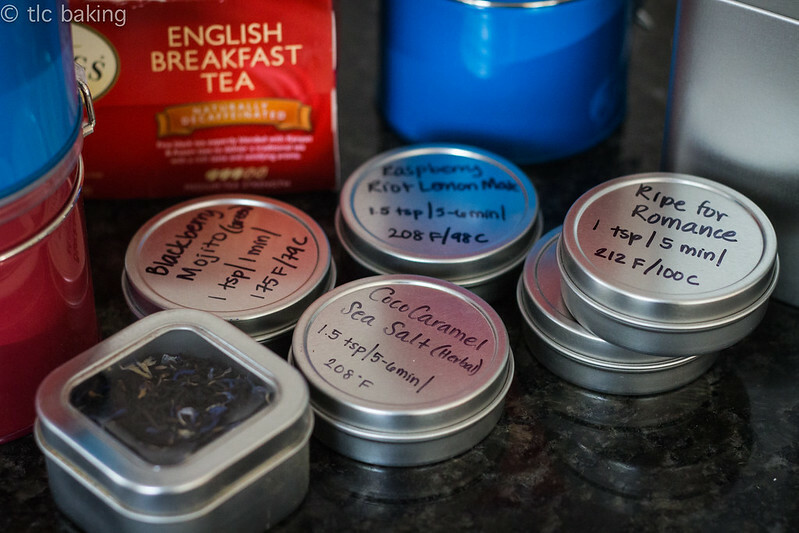 (If you’re interested, you can find most of the Unbirthday Tea flavors on Amazon.) 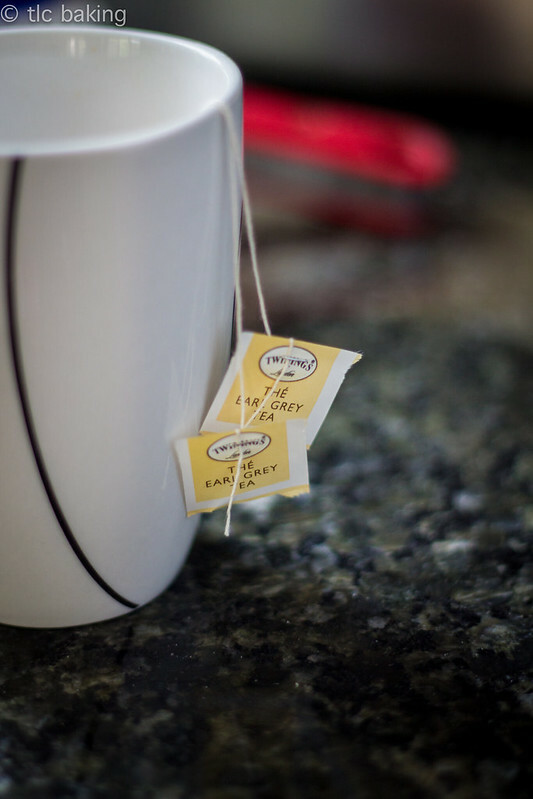 Any black/red tea would probably taste fantastic–especially more Earl Grey! For a long time, my problem with these muffins was the way that they would crumble after sitting out for a day. Even zapping them in the microwave wouldn’t help. As it turns out, the issue was not with the recipe but with how I was measuring my flour. Heed this warning, friends: Measure your flour using the spoon and level method! 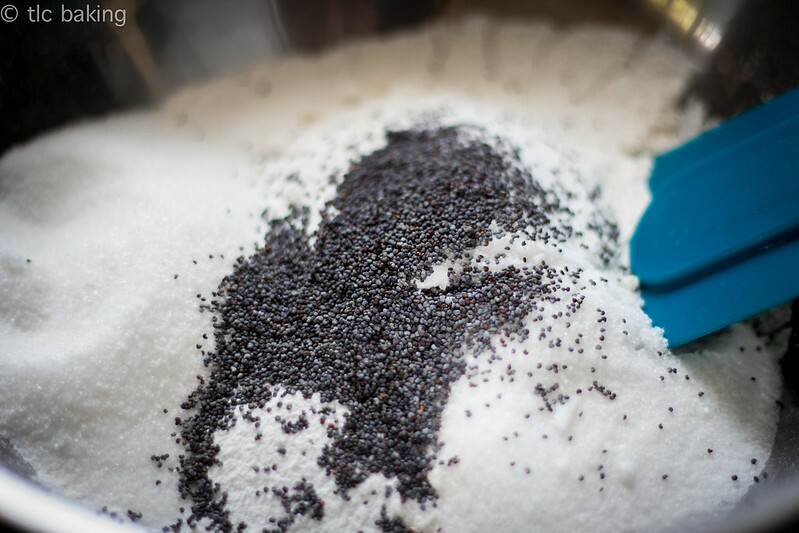 This means that instead of scooping flour out of a container using the measuring cup, grab a spoon and use that to scoop flour from the bag to the measuring cup. Don’t shake the measuring cup! When it’s full, use a knife (or the other end of the spoon, or any level surface like that) to brush off the excess flour. This will give you a much more accurate measurement than scooping. 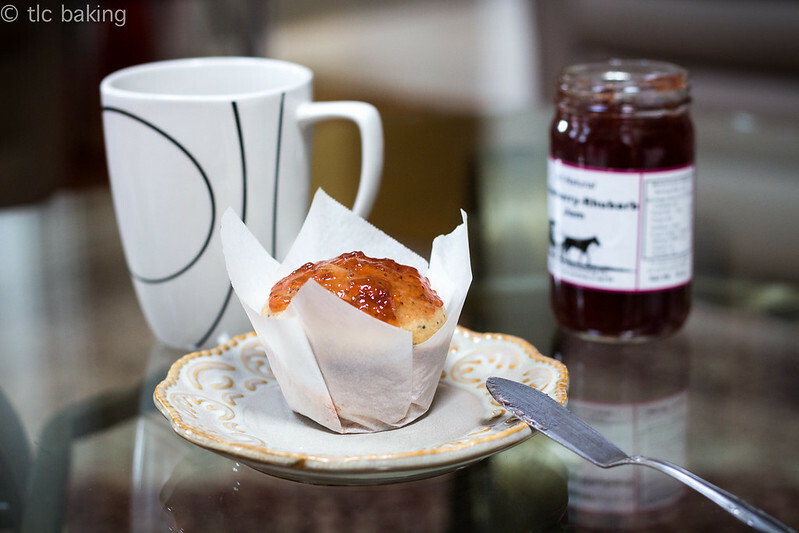 My muffins were moist on days 2 and 3, and after a quick burst in the microwave, they were almost as good as the first day. Honestly, this is why we should all use gram measurements for our dry ingredients. So many poor cookies and cupcakes and muffins would be saved a sad, dried-out fate. Alas, I have no kitchen scale either, so the spoon and level route is the best alternative. If you want some added stickiness and flavor, slather one with a fruity jam, like apricot, peach, or strawberry-rhubarb. These have been my snack for like three days now. I can’t help it. 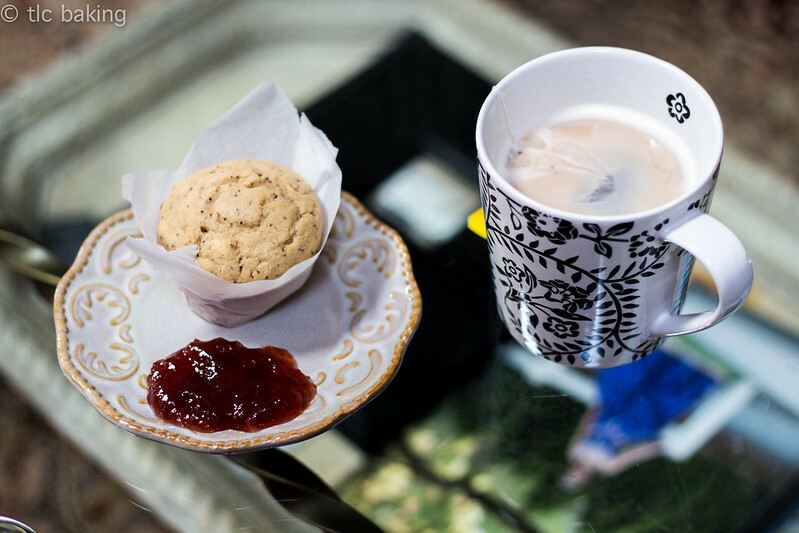 Let me know if you’re a tea person, what kind of teas you like, if you enjoyed these muffins, if you want more healthy recipes like I’d been doing this month–any and all things!